Our area sure has seen some chilly temps this winter. Who’s ready for warmer weather?!?! Has the recent cold made you wonder what a difference insulated window shades and shutters might offer? It can be overwhelming to consider…that’s why we are stepping in! Want to know the best ways to create a comfortable environment all year round? This is one of our favorites when it comes to adding insulation right at the window. The cellular construction was designed to protect you from the elements–cold or hot. 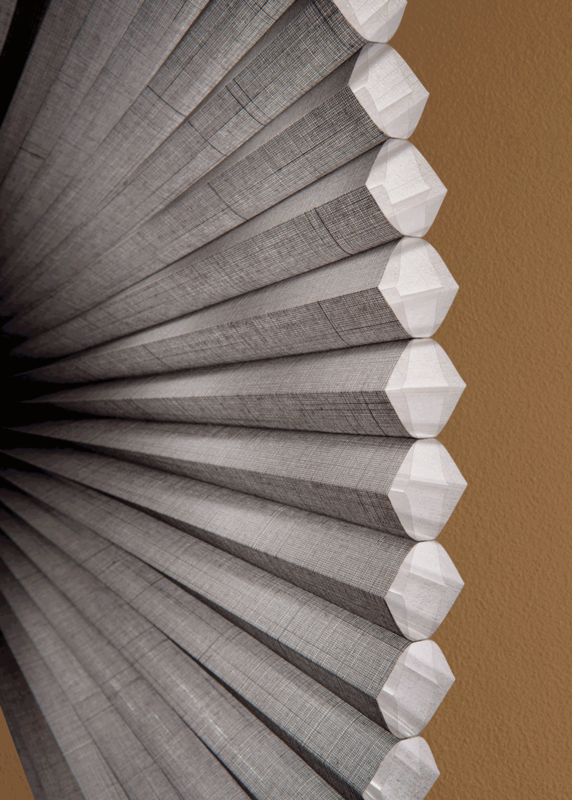 We love all the features available with our collections of Hunter Douglas honeycomb shades. 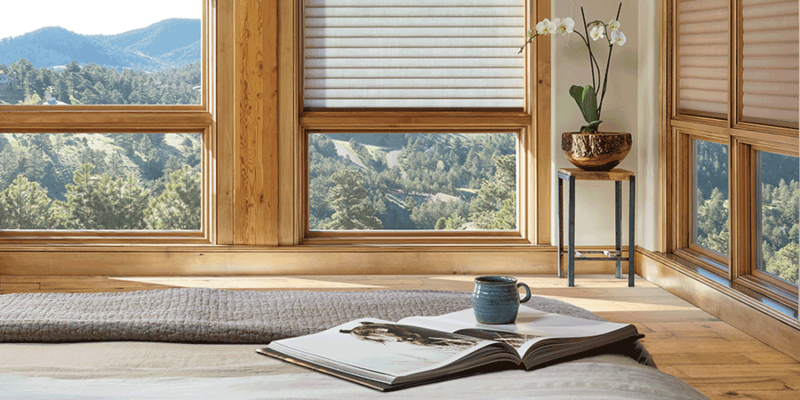 Motorization, top down bottom up, cordless…the list goes on and on, all in an effort to create the perfect balance of energy efficiency and beauty in your home. 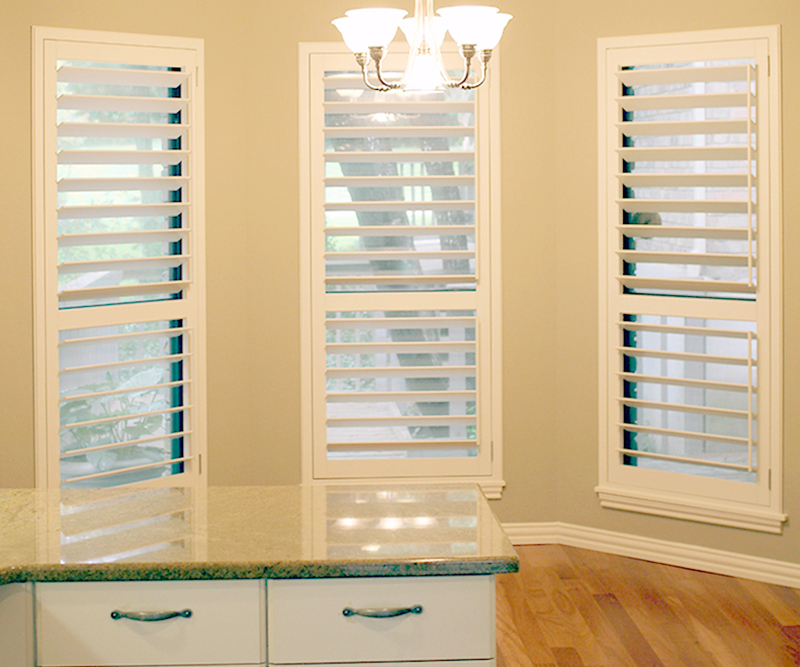 We are known for the high quality design, durability and beauty of our plantation shutters. What you might not know is that we give them an A+ for energy savings. Framed for efficiency and finished with beauty, interior wood shutters can have an impact on your energy bills and the environment of your home. Like cookies and milk, some combinations are simply a win from the start. Innovation has lead to the easy operation and low profile design of a roller shade that is ALSO a cellular shades. 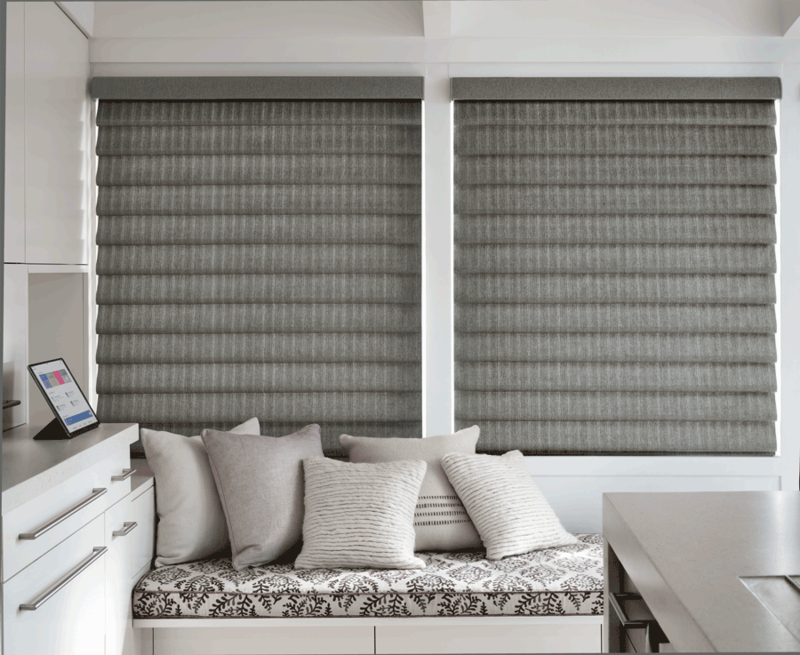 Sonnette shades are the ideal insulated window shades for those who love the idea of a roller, but need the interior efficiency of cellular. Their beauty is everlasting. Custom roman shades offer light control, style and effortless operation. But, with the right fabrics in place, they can offer you the energy efficiency you’ve been searching for. Keep the cold draft out in the winter, while also blocking the heat of summer with the fabric layers of these insulated window shades. There’s no time like the present to create a better environment in your San Antonio area home. 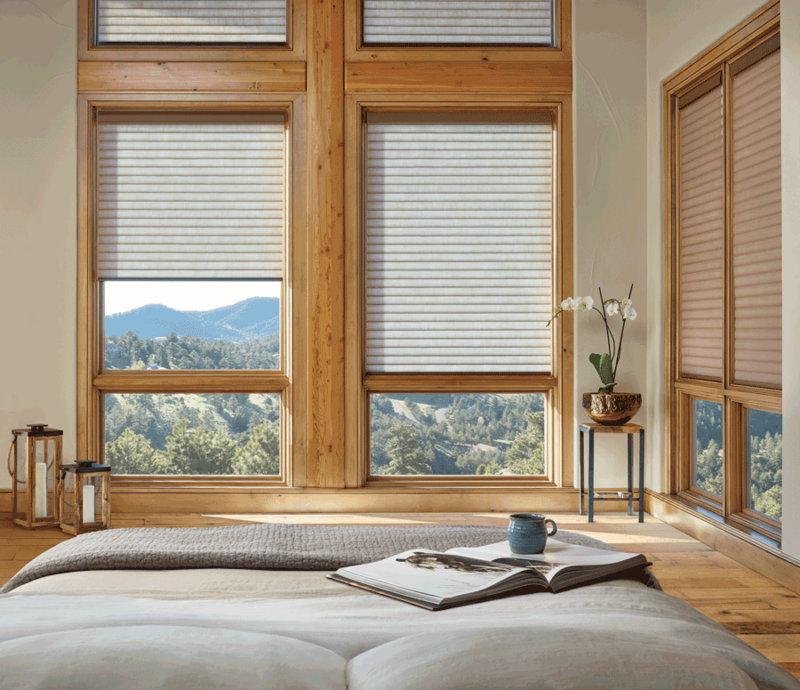 From the wide assortment of insulated window shades from Hunter Douglas, to the high quality durability of our O’Hair plantation shutters, we can get help you design the comfort you deserve. Contact our team, at Window Fashions of Texas, today!